Keeley Haftner: Let’s start broader and then go to specifics. In general, your overall project seems to be about defying categorization –for example, you’ve taken an interest in the work of Wendell Castle who muddies design, furniture, sculpture, craft, and you’re the department head of Art History, Theory, and Criticism at the School of the Art Institute but specialize in the study of graphic and typographic design as also seen through art historic and philosophic lenses. Is defying categories important to you? Michael J. Golec: I think there’s a historical question in there, which is that certain categories are accepted at particular moments in the history of any form of cultural production. As a design historian who was trained as an art historian, one of the things I’m interested in is where within the broader discourses have art and design been understood as distinct practices, and where they overlap. In terms of the discipline, design history is a relatively new field compared to art history. Many of my colleagues within the field are very careful about distinguishing content, topics, and objects that are unique to design. Such objects can’t always count as art objects, and therefore would not require an art historical interpretation based on art historical methodologies. And so a lot of my work really tries to figure out in some ways how particular kinds of objects can circulate between different kinds of practices and while they are objectively or empirically the same object. In each field they act in different ways that are specific to that field. 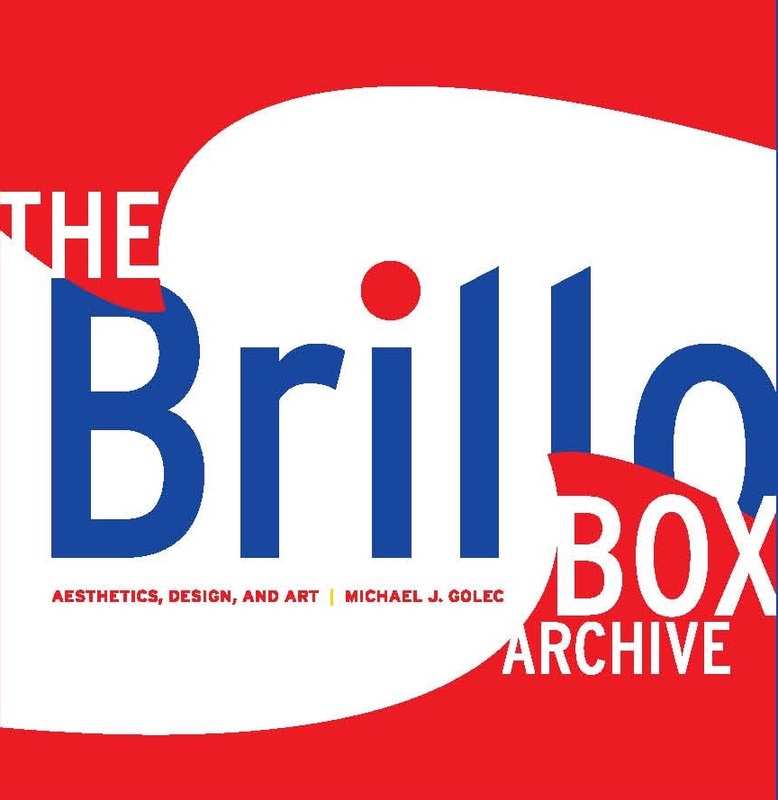 In my book, Brillo Box Archive: Aesthetics, Design, and Art, I see the Brillo Box as a non-material entity that circulates between art, philosophy, and design. Identifying that object, the Brillo Box, really depends on the epistemological culture that exists for that object, or in which that object is produced. One of the things I was interested in was how three distinct fields of inquiry could produce three distinct objects – a thought experiment, an artwork, and a package design – and how the three of them interpenetrate at different moments, specifically in terms of how they are discursively understood. I mean, categories shift, and while we’re defining them they will become mutable depending on what parties, practice, and epistemological communities are engaged with them. So one of the things I’ve be interested in in my work is trying to figure out where those distinctions lie, and also where they are blurred. KH: In the introduction to Brillo Box Archive, you talk about the image of James Harvey, the abstract expressionist painter and designer who was photographed in front of his painting holding his Brillo box after Warhol had made it famous as an artwork, which strikes me as a very apt example of how these categories overlap. Some have spoken of the sensual qualities of Warhol’s Brillo Box and how they are missing in discussions around his work – is the sensual nature of that piece of interest to you? MG: I think that certain epistemological communities are more interested in the sensual qualities of objects than others, which again is historically contingent. One of the things that Arthur Danto was very invested in was arguing that the material quality of the Brillo Box doesn’t matter, since for all intents and purposes the Brillo Box raises a question in terms of perceptual skepticism. If two things look alike, Danto argues, we can’t judge them based on how they look, so we have to resort to some other kind of framing. For him it’s a theory and history of art that directs us towards identifying specific objects befitting the category of art. For artists and for designers of that period, there are particular material qualities that make a difference in how one comes to terms with those objects. So that was one of the issues I was trying to work out. For Danto’s brand of philosophical aesthetics, materiality doesn’t matter at all. This means that his artworks could be anything relative to how they are received, understood, or framed. He would have been very much in opposition to something like a post-modern deconstructive interest in indexicality, or the materiality of the sign. So that would have distinguished him from other philosophers and critics of his generation. KH: I’d like to transition from the framing of objects to the framing of the human form in the in the work of Ray and Charles Eames. Through some of the courses you’ve taught over the years, including “Eames Overload” you’ve spent time discussing their work and their affect on design principles globally. Can you talk a bit about how their design principles bring together politics, technologies and aesthetics, and whether or not these principles hold up today? The other issue that I’m really interested in is that almost all designers who are revered in design history belong to some kind of “school” – especially in architecture, but also to some extent in design. In any overall survey of architects or designers you can find them being organized into different groups that we would call a school, in which there’s a discernable method, and there are discernable principles of design that are executed and then exemplified or embodied within the work itself. The Eames’ didn’t fit neatly into that framework, and I find it ironic that probably one of the most famous design teams in the history of the United States is a couple that belonged to no school. Again this is something I’m just coming to, and am not trying to reconcile that relationship, but rather to make the claim that “non-school” is a kind of school of thought in design that we’ve inherited today. I think this is so interesting, because the Eames’ provide a method that is not a method. It is a kind of post-method approach to design. This counters the trend toward Design Thinking that has been embraced within the past twenty years, and its relationship to the schools of design, engineering, and business. Design Thinking is meant to provide a method for designing that enhances interface between the object and the user. The Eames would not agree that there would be any such method. They believed that there are only case-by-case situations, and that every design, just like every statement, has to be received either felicitously or infelicitously in order for it to work. There is no guarantee, ever. Just as we use conventions so that we understand each other when we speak, there are conventions involved in say, chairs, for example, and those conventions create a certain vernacular that effects the colloquial versions of a chair. To design a different style requires a great amount of risk, and there’s no guarantee that any sitter will receive the intention of the designer that this is something meant to be sat on. KH: And the whole over-arching conversation makes me think of their Powers of Ten film, with regard to scale and the individual, but also through their interdisciplinary and borderline scientific way of considering the human subject. MG: I’ve published a few articles and chapters in books on Powers of Ten. My first impulse was to see that everything known or possibly unknown would be connected to the two human figures on the blanket, which one might call a remnant of the Frankfurt School form of criticism. I’m beginning to rethink that; I don’t think it’s what they really intended. Everyone needs to be reminded that when I say “Eames,” I mean the entire network of individuals that worked within the studio of which Charles and Ray were the most visible; they had armies of designers and non-designers working with them to make what they made. 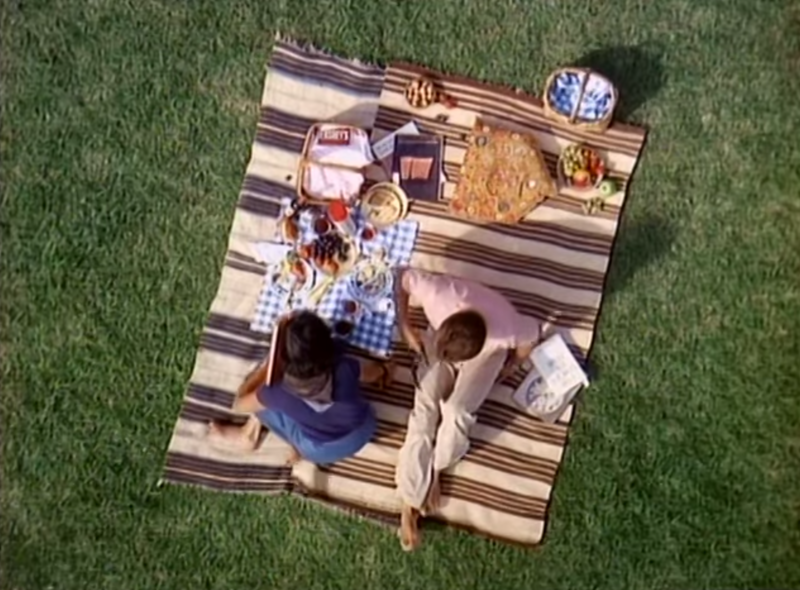 But in Powers of Ten – even though we might call the couple on the blanket the culmination of human scale, there is always a question at every power above and below them. What is the relationship to the human social sphere? I think it’s nicely framed by the picnic blanket. It’s an image of human sociality, however normative it may have appeared in 1968 and then in 1977. But then again, the Eames’ never took norms for granted, which could easily be and was contested by a host of social critics. I think the Eames’s were suggesting that this couple is a convention that is commonly understood, and it is not absolute. So at every layer one can imagine, even down to the molecular and cellular, this prompts a question of what the normative relationship might be. Thus every single power poses a question in terms of the stability of that couple sitting on the blanket. Like I said, you’ve caught me at a moment that I’m really just formulating this, and the class that I’m teaching this semester will help me to frame and expand on that further. KH: It strikes me that convention has a lot to do with how typography and pictograms are created, and how they evolve over time. Both have been interests of yours… For your Graham Foundation Fellowship (2014-15) you spent a lot of time looking at the REA’s (Rural Electrification Administration) archives in reference to New Deal era attempts to electrify homes between the late 1930s and early 1940s. You say there is a gap in the literature in regard to how design and pictographs were used as opposed to photographs, which by contrast is well studied. What was the convention of the pictograph able to do in this campaign that a photograph could not? MG: That’s been an ongoing project that I’ve worked on intermittently over the years. It started as part of general history of graphic design course that I taught beginning at Iowa State, and that I still teach here at SAIC when I’m teaching my full load and not chairing. Since I started teaching it the textbooks for the course have changed, or there have been new books that have been introduced into the bibliography. 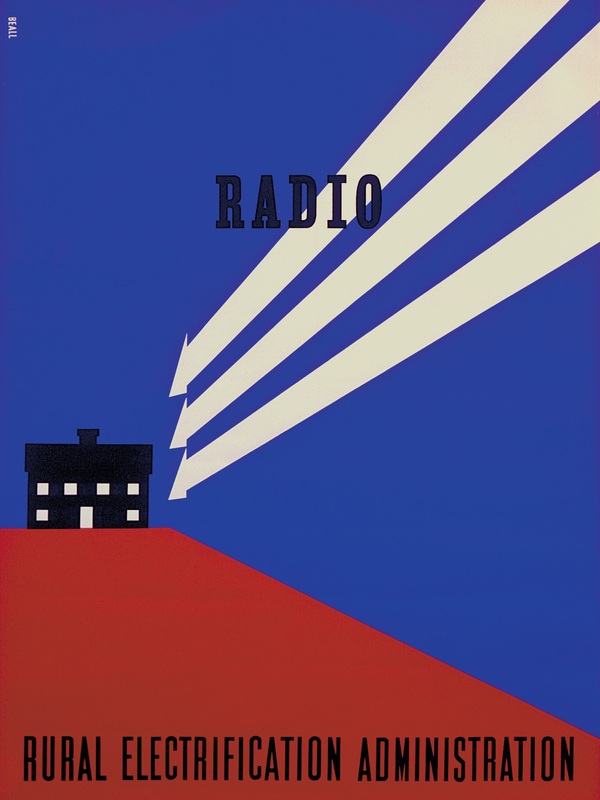 But for a very long time such books included a series of nine posters that were produced for the REA by a designer by the name of Lester Beall. It was commonplace to refer in histories of graphic design to Beall’s pictographs as having a twofold impact in terms of design in the United States. The first was that he chose pictographs because rural Americans were illiterate, so therefore those pictograms or pictographs were easily understood as a kind of basic language. They’re also praised because they’re seen as having integrated European style Modernism into the American scene of design, and famously the isotypes of Otto Neurath of the 1930s and 1940s were seen as a source of inspiration for Beall. When these posters are depicted they’re never shown in the environment in which they were posted – they’re always just floating posters isolated without any background or framing for their reception. So when I introduced this idea of their being used for illiterate Americans – my students, many of whom grew up on farms in rural Iowa, said, “That doesn’t’ seem right – why would you assume that all farmers were illiterate?” So I said, “Great question, I’ll look into it.” And it happened that Iowa State, being a Land Grant and agriculture school, had all the REA news publications from the exact year Beall produced the posters. So I did some research and came back to the students to let them know that in fact the posters were not always or exclusively shown in the context of a rural public; they were often shown first and foremost in Washington, D.C. at REA events, and they were also often shown at county fairs, state fairs, and the like. The logic would be, in order to electrify the farm you would have to own your farm, and most rural Americans who owned farms had some education, definitely high school, and were not necessarily illiterate, itinerant farmers. So there was a mix-up in terms of who the audience might be for those posters. I also found that earlier the REA had employed a person by the name of Rudolf Modley to use a pictograph as a way of communicating statistical information to farmers. So the result of this was that Beall was responding to an already existing graphic vernacular for the communication of information to farmers who could read. So that started to open up the possibility that pictograms were a sophisticated form of communication. We can no longer argue that Beall was using pictograms to introduce Americans to European Modernism, since we had already adopted those images as part of communications. Shifting gears… you’ve jokingly described yourself as an anachronism at SAIC in the sense that by researching 19th and early- to mid- 20th century histories such as these you are researching ‘ancient history’ in the eyes of your contemporary-minded graduate students and colleagues. I’m wondering if you take a position to ardently focus histories that predate the 21st century, or if you also consider current art and design history in your research? MG: [Laughs] It’s open, certainly. With regard to anachronism, my point really is that the idea of the contemporary is only relative to a past, and that this past persists in our contemporary conventional uses of all kinds of forms of communication. So as an historian, I think this idea of thinking about the now as unrelated to a past is problematic, and requires I think a great deal more scrutiny. I mean, whatever we think of as “the present” is inundated with “the past” and “the future” simultaneously, so it can be erroneous to make absolute distinctions between them. The typeface that you might be looking at in a contemporary design or art catalogue is an anachronism in and of itself. It may be newly designed, but reproducing it requires technologies that are centuries old. Even though there have been advances in print technology, they’re’ not so advanced that they don’t require ink and some form of depression or coating of paper with a form. So I like to open students up to the possibility of understanding that the present is interwoven with past technologies, conventions, and traditions, and to convey to them that the only way they can think about the future is in a way predicated on those kind of interweavings, if that makes sense at all. KH: Totally! I’d like to address my particular interests, which are perhaps a little less to do with your specific research focuses but were the means by which I came to in the first place – thinking through Object Oriented Ontology. A chapter of yours in a recent publication, “Heidegger’s ‘From the Dark Opening:’ Image Theory for Human and Nonhuman Worlds” in Heidegger and the Work of Art History, sounds as though it likely hovers around this topic. MG: For that chapter in that book I was interested in the relationship that Heidegger might have to something most often referred to as Actor-Network Theory, and particularly in this confusion of objects with materiality that happens in design history, but to some extent also in art history. I want to undo is this notion of material and object as being thought of as synonymous. In object theory, if you follow a straightforward account as it’s been put forward by like someone like Graham Harman, such theorists are not interested in the material nature of objects at all. Their argument, specifically Harman’s, is that what is “real” in relationship to objects is always forever and irreducibly withdrawn from us. With the discussion Heidegger presents in terms of Van Gogh’s Peasant Shoes, I wanted to work out what the underlying networks not immediately visible were – the invisible networks that Heidegger opened up behind the work. Viewed in that way, the painting itself is a glimmer of the vast networks of agricultural production and labour that would have related to late 19th and early 20th century farming. 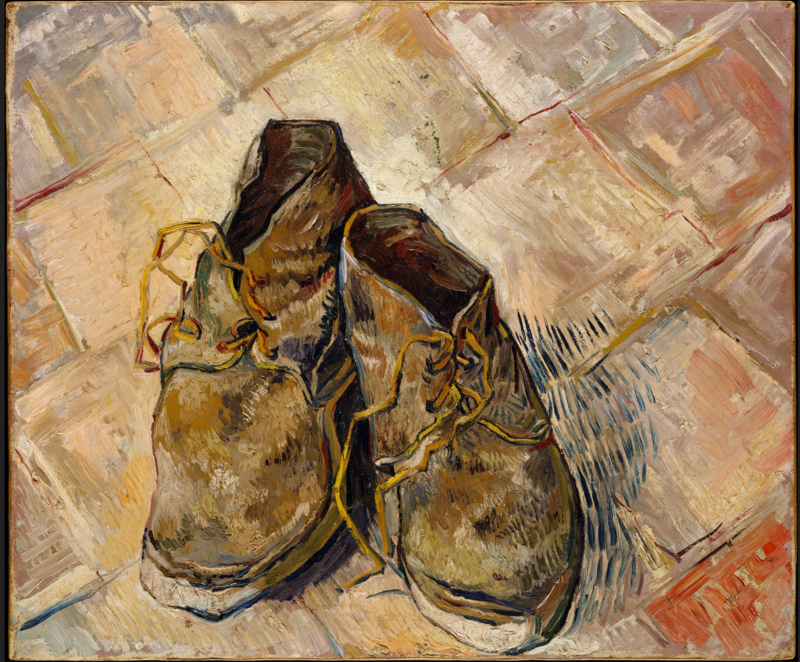 “Shoes”, Vincent van Gogh, Oil on canvas,18″ x 21 3/4″, 1888. Image: Public Domain. KH: Well, I’m looking forward to reading that! What is it that is preoccupying you most these days in your recent research? MG: I’ve contributed a chapter entitled “Distributing Stresses”, to a forthcoming book Encountering Things: Design and Theories of Things, that’s related to the Eames. It addresses the question of sympathy and the DCM chair that the Eames’ produced. It discusses the chair as a means of caring for the body and the psyche of post-war humans. This was written a little bit before I started thinking about Eames and human scale, but I think it directly addresses that theme. So that’s one project. The other is an article related to the “Champ Fleury in the Machine Age” lecture I gave at the School of Visual Arts a few years back, which is currently under review for the Journal of Design History. One of the things I’m interested in that is this notion of tradition and convention in typography – both its complex story and looking at what would count as modern verses traditional typography in the early 20th century. So I see someone like Bruce Rogers as a modern typographer, someone who is not only interested in reviving old forms but is also interested in addressing a tradition of typography as it relates to his contemporary moment. And this is something I think all designers do, whether they’re typographers or furniture and product designers. The reason why the question of what constitutes “modern” is perhaps more compelling in typography is because it raises the question “what typography isn’t traditional?” In the West we’ve already basically agreed for hundreds of years what our essential alphabet is, and since the 16th century we’ve embraced Roman style letterforms. We don’t really use Fraktur; when forms like this have been revived from the past they’ve been aligned with particular ideologies like National Socialism and dismissed, so we’re pretty much set. So again the question for me is when isn’t typography traditional? Attempts to modernize language like changing to Basic English and producing a universal language have never really stuck… What’s the one language that was introduced? MG: Yes, Esperanto! Yes, I mean even when we code computers we still use characters that are established as part of our everyday language. So the distinction in terms of what counts as traditional or what might count as contemporary have to be looked at in different ways. I would just argue that from a contemporary standpoint, someone like Rogers basically creates a new operating system for a very old form of hardware. He creates a new formatting for traditional typography and printing. And that that might be the best we can hope for in our lifetime. 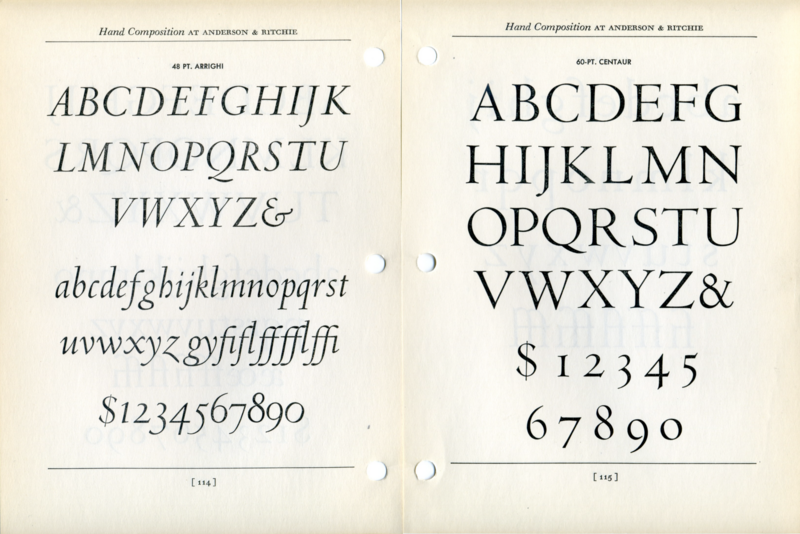 Centaur (typeface), Bruce Rogers. Created 1914 and released 1929. MG: The first thing I would like to say is Keeley, I really appreciate you reaching out, and I’m quite honoured and humbled by being interviewed. Second, on the face of it I think that there are a lot of different projects that I work on, but the thing that draws them together is my interest in how every day designers have to deal with what already exists in the world. And a problem that I think is not unique to designers, but one which applies to anyone in a creative field, is the question of how to address what already exists in order to add something that has real meaning, and conveys what you want it to convey. That’s the core of my interests throughout all the different examples I draw from. For example, the question for Beall was one of intention: what did he have to work with, and how could he produce something that was unique to his own intentions, but that still drew on an already existing graphic vernacular? And as you observed, he created something quite remarkable – something that alluded to the already existing use of pictographic communication within a bureaucratic administrative field like REA, but with much more. Now these posters exist in every major museum. You can go to the MOMA they’ll have a little design section where there’s always a Lester Beal REA poster. Or, as another example, what does someone like Rogers do when he’s asked by the Grolier Club of New York City to design a translation of Geoffrey Tory’s “Champ Fleury”? Does he try to create something that’s just a facsimile (which is how many people have approached this), or does he try to communicate something from Tory’s ideas within his contemporary moment? Ostensibly one chair should fit us all. When the Eames’ sat down – pun intended – to design a chair, they had to think about what would count as something that would attract and afford a certain kind of human comfort – something that did not exist, but was still recognizable as something that was chair-like. They drew from history, from their own time, and from a perception of where things might go. Sometimes it’s difficult for people who look at my work to see the common thread, but that’s the source. Even the Brillo Box Archive is trying to distinguish the differences between the three “Brillo boxes”, but also to show how they’re all related. I think this is an increasingly important issue within the humanities, regardless of whether its design history, art history, history of literature and so forth: how we can acknowledge shared and different concerns, and how they can be embedded in the same object, body, or thought? That sort of openness, that acknowledgement of sameness and difference, is something that I think the humanities is well positioned to explore, and that will perhaps have some meaning for our current fractured moment so focused on differences. KH: Well that was far too eloquent for me to add anything! [Laughs] Thanks for speaking with me, Michael. Michael J. Golec is the Chair and an Associate Professor of Art and Design History in the Department of Art History, Theory and Criticism at The School of the Art Institute of Chicago. You can find his complete bio here.